Document Imaging Solutions offers a state-fo-the-art PDF based metadata document imaging system. Our state-of-the-art document imaging system will save your organization at least 40 hours a month in IT resources compared to first generation database systems. Although most organizations use our Enterprise Edition without its automated front-end capture to keep costs low, some companies require an automated front-end due to high paper-document volumes. They may require zone OCR, barcode recognition, and hand-writing recognition to achieve economies of scale. A problem inherent with most software companies is they feel the need to be all things to all people. This usually results in a software program which falls short of its mark. We decided at the inception of our company, never to sacrifice quality if we were to set the standard in our industry. Our philosophy is to be that best at what we do and partner with others who also set the industry standards at what they do. We have partnered with a form/data capture software company to offer their automated front-end software with our Enterprise system. Their software performs form recognition, zone OCR, barcode recognition, and hand-writing recognition better than anyone else in the industry. When you combine their automated front end to our PDF based metadata document imaging system, you have unmatched power, stability and the best automation accuracy that money can buy. The information presented below shows how you can build an affordable system which meets all your requirements. Please complete the contact form below and we will be happy to contact you about our Enterprise Solution. You can custom build your complete enterprise system with our modular structure. The benefit of this approach is that you don't pay for features that you don't need. It also allows you to expand the features in the future should conditions warrant it. This search engine will index and manage up to 72 different document formats including smart PDF files, Microsoft files, and emails. It is browser based and can be deployed on as many workstations as required. Document management is based upon network permissions and you can create multiple indexes to control who has access to a given set of documents. This module is for companies that are transitioning from a first generation database document imaging system to our second generation state-of-the-art metadata system. It automatically converts TIFF files to PDF files and merges the data connected with the TIFF file into the metadata of Smart PDF files. This module can be set up to recognize a document type and automatically capture information contained in pre-established zones and put that information into a Smart PDF file's metadata. It automates the front end capture for those organizations that have large volumes of documents that need to be scanned and tagged with key search words. It is designed to automate the front end data capture of large volumes of scanned images. 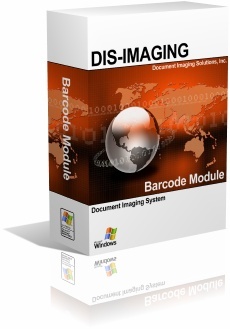 This module is used to recognize bar codes within a scanned image and cross reference to a database where it extracts associated data and merges it into the metadata of Smart PDF documents.